If you’re one of the many Americans who have struggled with back pain, you know that the right mattress can make the difference between a healing night’s sleep and an uncomfortable struggle that makes your symptoms worse. However, what makes for the right mattress depends on the type of pain you’re experiencing, your size, and your sleep habits. Making an informed decision requires educating yourself about what materials and firmness levels are right for you. In this article, we’ll discuss the best mattress options based on the latest medical research and the rapidly-evolving world of mattress technologies. Additionally, we’ll give our picks for the best mattresses for back pain. 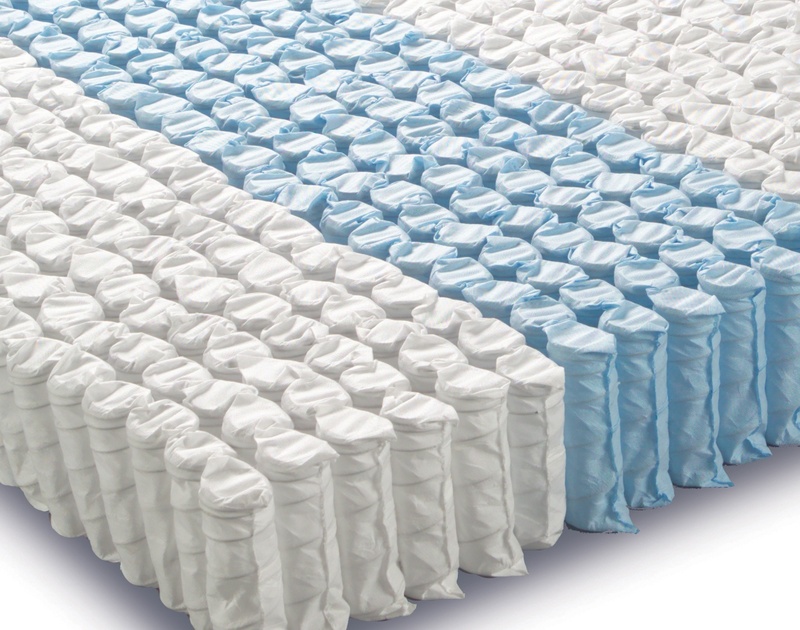 These mattresses can help make sleep a part of your recovery, rather than your pain. 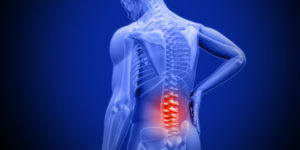 Research suggests that up to 80 percent of Americans will experience acute back pain (defined as pain lasting less than six weeks) at some point in their lives, and a 2009 study by the UNC School of Medicine revealed that 10.2 percent of adults experience chronic, debilitating pain. Overall, back pain is one of the primary causes of missed work, lost wages, and is the second most common reason Americans visit their primary care physicians every year. These problems aren’t limited to people who engage in heavy physical labor; over half of chronic back pain sufferers work at desks. For people with acute back pain, a recurrence of symptoms is common, with 60 to 80 percent of patients having a recurrence within two years. Back pain remains under-researched and poorly understood, but the 2009 UNC study noted a high rate of overlap between chronic back pain and depression and obesity. All these conditions tend to make the others worse, as a lack of mobility keeps sufferers from living a normal life. Back pain and sleep are closely related. According to an APTA survey, 37 percent of people with lower back pain say it interferes with their ability to get a restful night’s sleep. Stress-related insomnia and other sleep disorders have also been linked to back pain, since tossing and turning can lead to sleeping in unnatural positions, and people suffering from inadequate sleep are more likely to experience muscle strain. Finding the right mattress can help ensure that an acute, temporary back injury has a chance to heal and doesn’t become a recurring problem. For those with chronic back pain, it can provide enough relief to prevent sufferers from having to rely on prescription medications. Align your spine. The back has four natural curves in it, and you want a mattress that lets them all rest comfortably. Avoid pressure points. When you’re testing a mattress, make sure no one area of your back is absorbing too much weight. This can push your whole body out of alignment. Go medium-firm. Back pain sufferers need a mattress that combines good support with body contouring. If we rate mattresses on a scale of 1 to 10 with 10 being the firmest, look for something in the 5-7 range. You shouldn’t feel like you’re sinking into the material or floating on top of it. Stay cool. While memory foam can provide the right amount of body contouring to keep your back in alignment, it’s worth investing in some of the newer varieties of foam which retain less heat, and keep sleepers from tossing and turning in the night. Replace on time. If you’ve had the same mattress for 9 or 10 years, it’s time to replace. An Oklahoma State University study showed that a new mattress reduced back pain and improved sleep quality in over 60 percent of participants. Test it out. Many mattress companies now provide customers with the opportunity to test a new mattress for a month or more. If possible, this is a great way to figure out what works best for your back in the long-term. There are several types of mattresses which can ease back pain, but each provides distinct advantages and disadvantages depending on the weight and sleep style of individual users. While the materials may vary, each type features a combination of firmness and body contouring, to ensure a fully-supported spine. 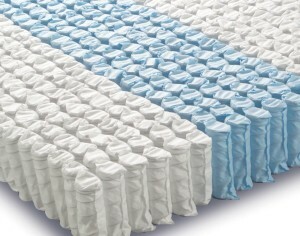 Many of the best-reviewed mattresses for chronic lower back pain feature some form of memory foam, but not all of these materials are created equally. 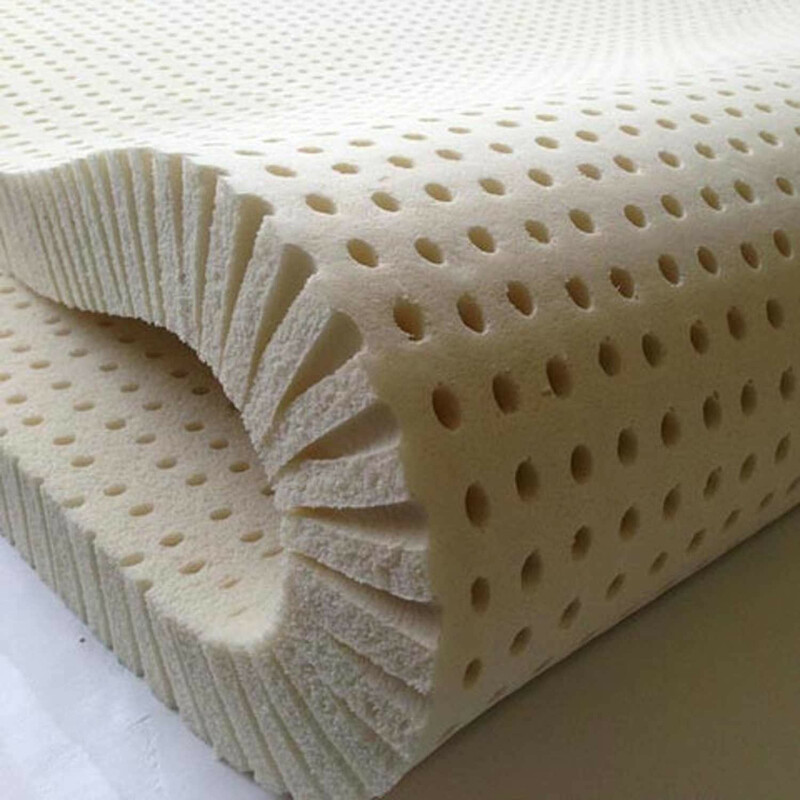 Invest in a high-density foam with high motion isolation, and softer or firmer, depending on your needs and preferences. While not all the mattresses on our list have springs, those that do feature pocketed coils, which isolate motion far better than Bonnell and offset coils. This leads to less tossing and turning, especially for sleepers who share the bed with a partner. Some of the most highly-rated mattresses for back pain use latex support cores, which offer superior motion absorption, but often come with a higher price tag. As mentioned before, the perfect mattress for back pain varies depending on the size, sleeping position, and personal preferences of different sleepers. Most reviewers recommend a mattress that is medium firm, rather than maximally firm. Lighter sleepers can “float” uncomfortably on top of mattresses that are too firm, not making full use of the comfort layers to provide support. Heavier sleepers should consider a firm mattress that provides consistent support throughout the back, and not feel as though they are sinking into the comfort layers. Sleepers who share the bed with a partner should prioritize a mattress with high motion isolation, so their partner’s movements don’t disturb them and lead to painful tossing and turning. Also, couples should look for a mattress with good edge support, allowing them to sleep anywhere on the mattress and still have their back supported. Side sleepers should look for a responsive foam that cradles and contours to the body. Side sleepers often prefer a soft outside later that allows for good circulation and relieves pressure points. This position is most recommended for sleepers with lower back pain, since it naturally distributes weight across the body. The level of firmness needed by back sleepers varies according to body size but is typically medium-firm. Back sleepers should also consider mattresses with cooling technology to keep them comfortable and aligned throughout the night. Experts generally agree that stomach sleeping is the least healthy position, and can cause the back to hyperextend, leading to pain. However, stomach sleepers often prefer it because they struggle with back pain, so these sleepers should ensure they have a high degree of support to create a flat profile on the bed. We’ve compiled extensive consumer reviews as well as our own research to create the following suggestions for the best mattresses to ease back pain. Sleepers with back pain should consult with their doctor and keep in mind that the best mattress always depends on a sleeper’s individual needs. Nest Bedding’s Alexander Signature Hybrid mattress is a foam and pocket coil innerspring mattress. The mattress has two firmness options: medium and “luxury firm,” with most consumers preferring the medium option. Users have praised it for having a high degree of body conformity, a priority for side sleepers. 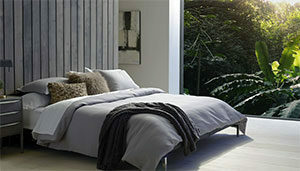 Its firmness is also an advantage for heavier sleepers. 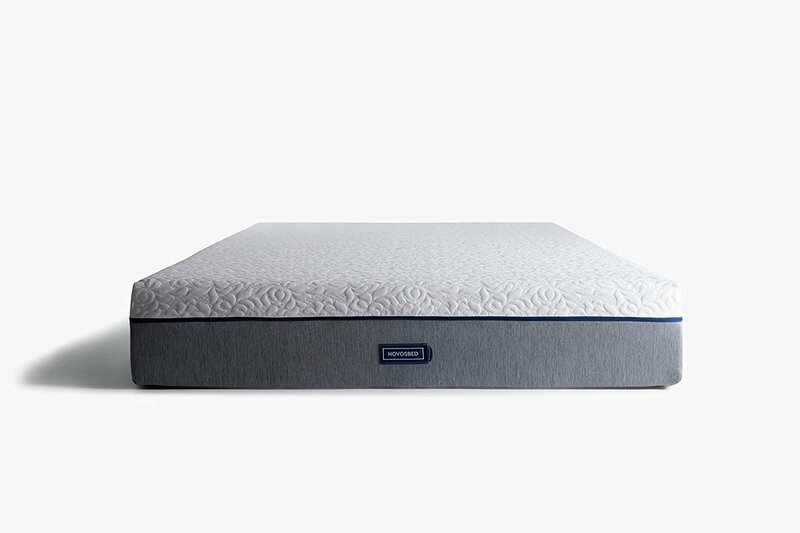 However, the coils do cause some motion transfer, and the mattress is known to sink somewhat at the edges, so it may not be the best choice for couples. This mattress cannot be flipped, but does promise good durability with a 20-year warranty. Nest is known for using American-made products and for its focus on organic and eco-friendly materials and manufacturing processes, which accounts for its somewhat higher price tag. Body conformity: The Alexander Signature Hybrid combines firmness and body contouring, making it a good option for side sleepers and heavier sleepers with back pain. Durability: The Alexander Signature Hybrid promises good durability and offers a 20-year warranty. High-quality: Nest Bedding is known for using American-made products that are organic and eco-friendly. For more on the Alexander Signature Hybrid, please read our full review. 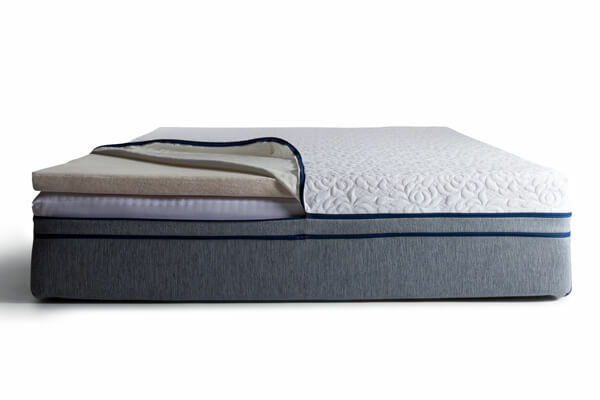 Save $150 on an Alexander Signature Hybrid Mattress! Saatva’s Loom & Leaf mattress is made of organic cotton and eco-friendly CertiPUR-US certified memory foam. The Loom & Leaf is particularly well-reviewed for back pain and pressure relief. The cover is specifically designed to provide lumbar support and is good for back sleepers. The top comfort layer features medical-grade cooling gel that promotes airflow and keeps sleepers cool throughout the night. Couples report that the mattress absorbs motion very well, with minimal bounce. However, the edges are known to sink down under weight and pressure, failing to provide the same support as the center of the bed. This mattress is not flippable, but offers an above average 15-year warranty. Cooling layers: The comfort layers feature a cooling gel with holes to promote airflow. Couples: The foam layers absorb motion and have very little bounce. Back sleepers: The cover is designed to align the lower back for back sleepers. 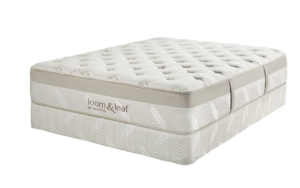 Learn all about this mattress in our full Loom & Leaf mattress review. The Sapira is a coil springs and foam combination mattress. It provides a high degree of support, making it good for stomach and back sleepers. Heavier sleepers (up to 450 pounds) have reported good sleep and ease of motion. However, the Sapira is too firm for sleepers under 130 pounds or side sleepers who need more body contouring. This mattress is popular among couples for providing a rare combination of bounce with a lack of motion transfer. 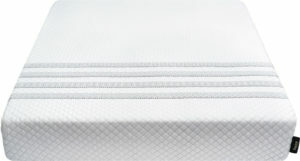 Additionally, the pocket springs extend to the edge of the mattress, allowing sleepers full support anywhere on the bed. The Sapira is not flippable. It offers a 10-year warranty, though consumers report some softening in the bed over time. Sapira ships directly to customers and offers a 100-day sleep trial. Heavier sleepers: Can support weights of up to 450 pounds, though lighter sleepers may find it overly firm. Couples: Superior edge support, lack of motion transfer, and moderate bounce all make the Sapira a good mattress choice for couples. Edge support: With pocket springs that extend to the edge of the mattress, sleepers with back pain will feel full support anywhere on the bed. 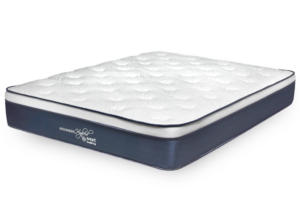 Learn more about why the Sapira is one of our top picks over at our full Sapira mattress review. 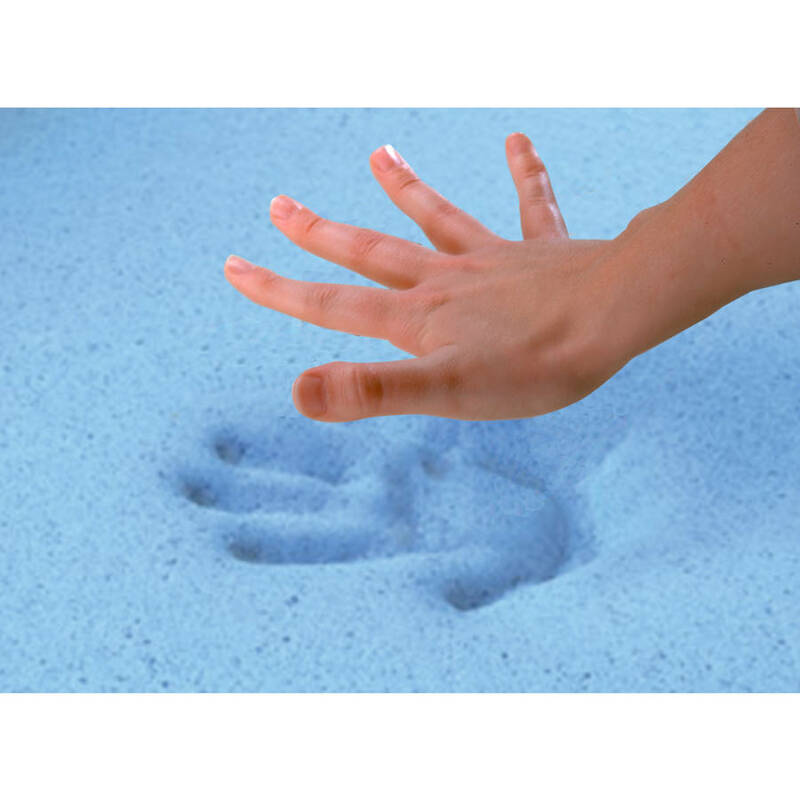 The Novosbed is a memory foam mattress featuring 4-5 inches of comfort foam over 6-7 inches of denser support foam. The Novosbed offers soft, medium, and firm models, with medium and firm owners more likely to report adequate support. Like many memory foam mattresses, the Novosbed has high motion isolation, but poor edge support. Heavier sleepers have also reported some difficulties getting out of the bed, owing to the foam’s body conformity. The foam also retains more heat than other options, which can lead to discomfort, especially in the summer months. Novosbed offers a 120-night sleep trial and a 15-year warranty. Side sleepers: The memory foam conforms to a sleeper’s body, making the Novosbed ideal for side sleepers. Support options: The Novosbed offers several firmness options, so sleepers with back pain can choose the right support for them. Motion isolation: This mattress features high motion isolation, which is a benefit especially for couples. Read our full Novosbed mattress review to learn more about why the Novosbed is one of our top picks. The Zenhaven mattress is a flippable latex mattress in which each side offers a different firmness level (luxury plush and gentle firm). This mattress is made of all-natural latex and organic cotton, designed to be cool and breathable. The latex absorbs motion and is good for couples, but the edge support varies depending on the side of the bed in use. The luxury plush option is suitable for side and combination sleepers, while the gentle firm side is better suited to stomach and back sleepers. The double-sided option lets sleepers experiment with firmness levels, but the mattress is heavy and difficult to move. Zenhaven mattresses come with a 20-year warranty and offer home delivery and installation. 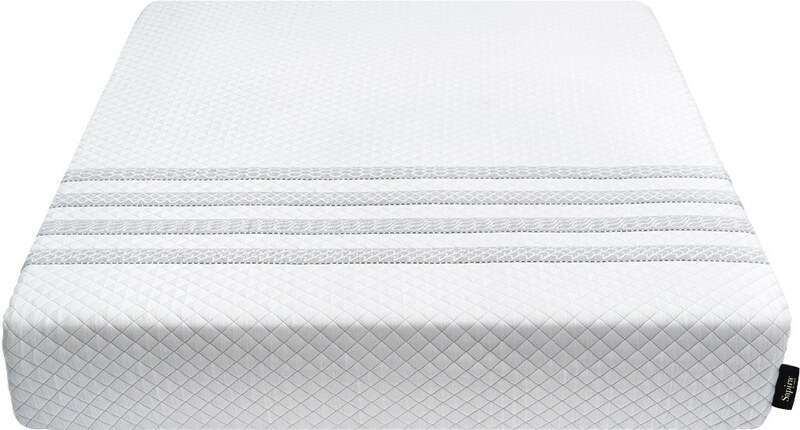 Double-sided: The Zenhaven mattress’s unique flippable design lets sleepers choose firmness level. 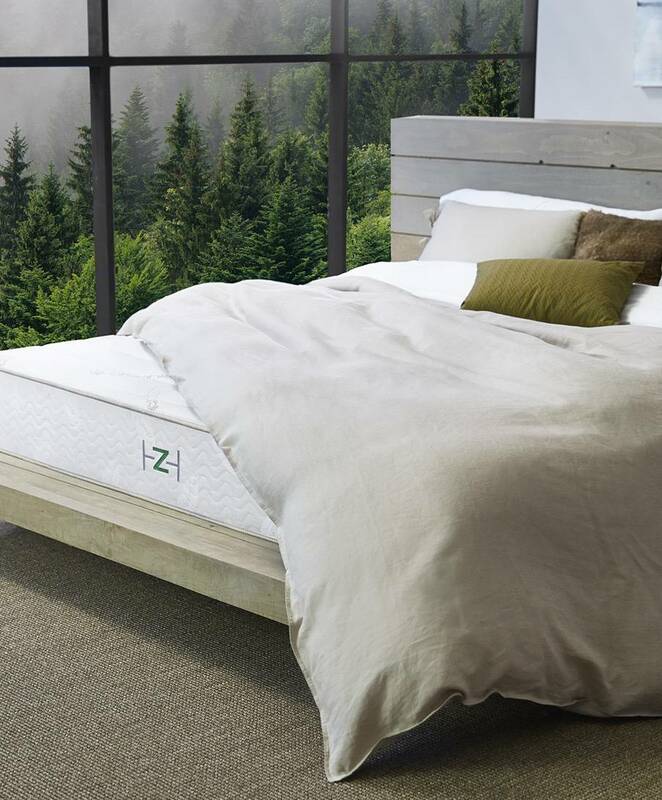 Durable: The Zenhaven mattress features a 20-year warranty. All-natural materials: Natural latex and cotton are designed to allow air flow and have no unpleasant odor. Interested in the Zenhaven mattress? Read all about it in our full Zenhaven mattress review.